The key to finding the information you need on the Internet is knowing how to use search engines effectively. There are ways to format your search in order to bring the most relevant results quickly. One of the easiest and most important ways to format your search is to use quotation marks around an exact phrase you’re looking for – for instance, in a search for someone’s name. If you type in a first and last name without quotes, the search engine will bring up every indexed page that happens to have both those names anywhere on it, not necessarily together. This can bring you a lot of extraneous data to wade through. To force the search engine to look only for the exact first and last name combination (or any other exact phrase) put quotation marks around it – “Tina Gasperson” instead of just Tina Gasperson. Or “my bologna has a first name.” You get the idea. Finally, check your particular search engine for any specialized search queries it may allow. Google has several methods for fine tuning your queries that include searching by date, usage rights, and even where your search query shows up in the page (in the title, text, or URL). Yahoo! also has advanced search options with which you can search for Creative Commons licensed material or search only in certain types of domains. 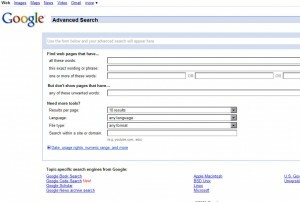 Altavista.com also allows advanced searches by date or domain. 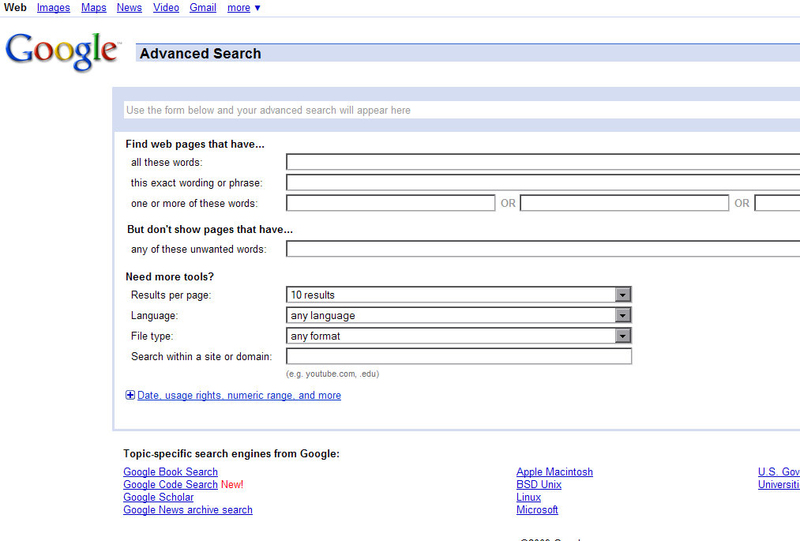 Check the help page of your favorite search engine to see what advanced search options it provides.